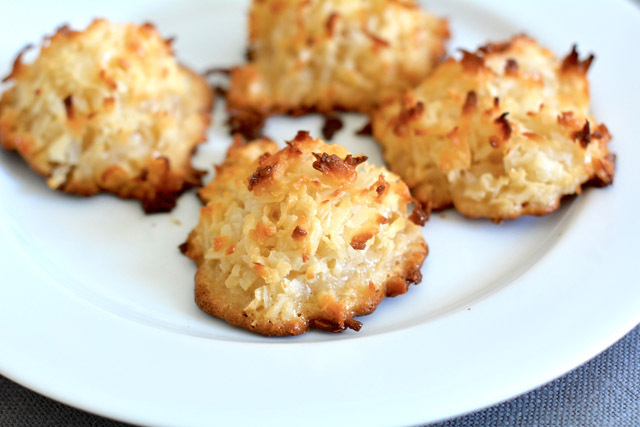 Coconut macaroons are one of our favorite sweet treats. They are fun to make with younger kids because they are so simple. I’ve tried many variations of coconut macaroons over the years, and this simple version is my favorite. They come out perfectly every single time. The coconut is warm and chewy with a slight vanilla taste, they bake beautifully in any oven, and they look pretty on a little plate when served for dessert. 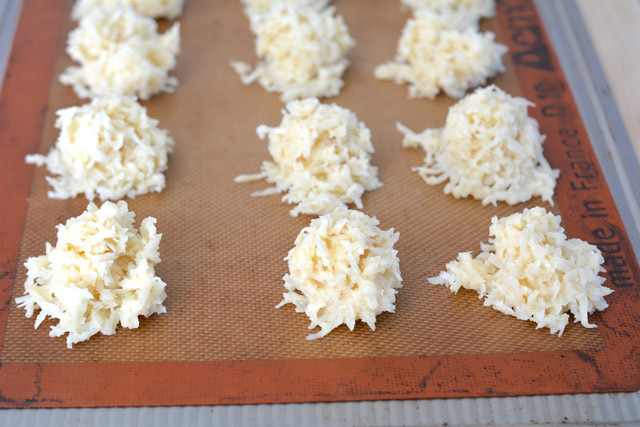 This is how we make our favorite coconut macaroons. Step 1: Preheat the oven to 325 degrees F. Line 2 cookie sheets with parchment paper. Step 2: In a large bowl mix the sweetened condensed milk, vanilla, and egg white until completely combined. Then stir in the shredded coconut until it is evenly coated with the milk mixture. Step 3: Use a cookie scoop to drop rounded coconut mounds on the lined baking sheet, spacing them 1 inch apart. Step 4: Bake the macaroons for 15 to 18 minutes, or until the tops are golden brown and set. Step 5: Allow the cookies to cool for 2 minutes on the cookie sheet, then transfer them to a wire rack to cool completely.